Guided Inquiry is a flexible research model that promotes thinking and collaborative teaching and learning. This guide was created to support a two-day professional development session for teachers and librarians and is only available to participants. Kuhlthau, Carol, Maniotes, Leslie, and Ann Caspari. Guided Inquiry: Learning in the 21st Century. Westport, CT: Libraries Unlimited, 2007. Kuhlthau, Carol, Maniotes, Leslie, and Ann Caspari. 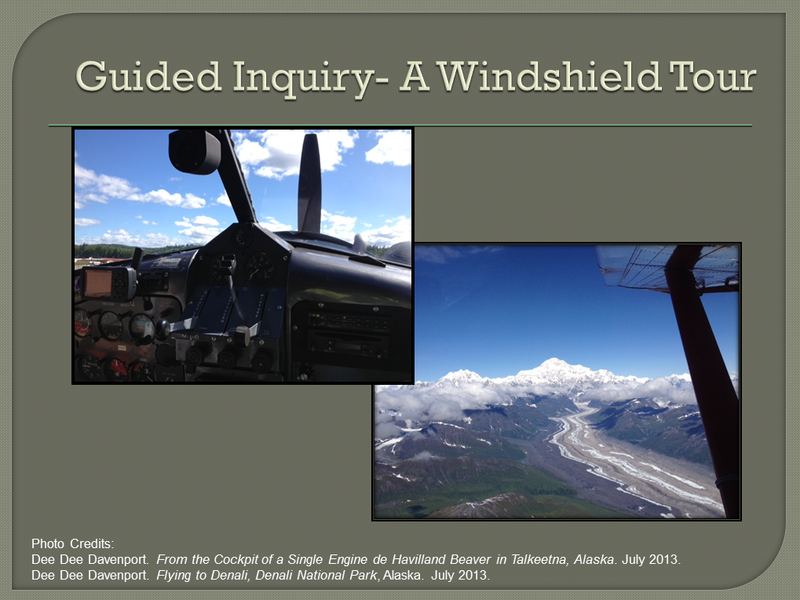 Guided Inquiry Design: A Framework for Inquiry for Your School. Santa Barbara, CA: Libraries Unlimited, 2012. Kuhlthau, Carol, Maniotes, Leslie, and Ann Caspari. 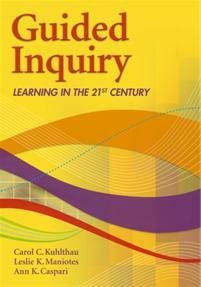 Guided Inquiry Design: A Framework for Inquiry for Your School [CD-ROM]. Libraries Unlimited, 2012. • Eight posters of the individual phases in Guided Inquiry (Open, Immerse, Explore, Identify, Gather, Create, Share, and Evaluate), each 11" x 14"
Download the file below to access the Guided Inquiry Overview PowerPoint presentation. 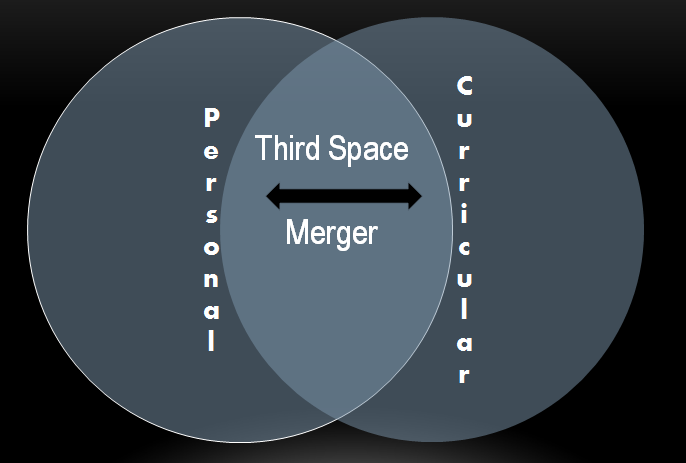 "Third space is about creating a learning space where the student's world meets the curriculum." Kuhlthau, Maniotes, & Caspari. Guided Inquiry Design, 2012. 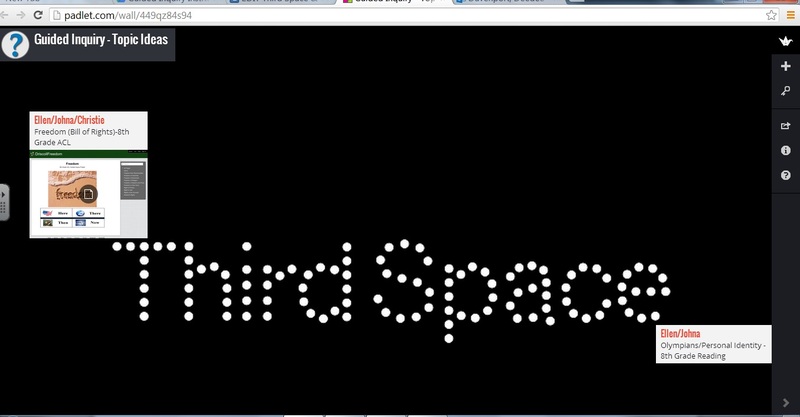 Click on the image below to access Padlet (formerly Wallwisher).